Daughter of music industry’s mogul Shri Gulshan Kumar and sister of the reigning music baron Bhushan Kumar of T-Series, Tulsi Kumar is one of the melodious voices of our industry today. She may have a powerhouse music brand T-Series behind her, but Tulsi is known more for her work as a singer than her family connections. She had a platform to enter Bollywood, yet it has not been an easy path to success. Like every newcomer she had her share of struggles. Today with numerous tracks in Bollywood movies, the singer has come a long way. Having rendered her voice in many films like ‘Ready’, ‘Once Upon a Time in Mumbai’, ‘Billu’ and ‘Dabangg 2’ to name a few. 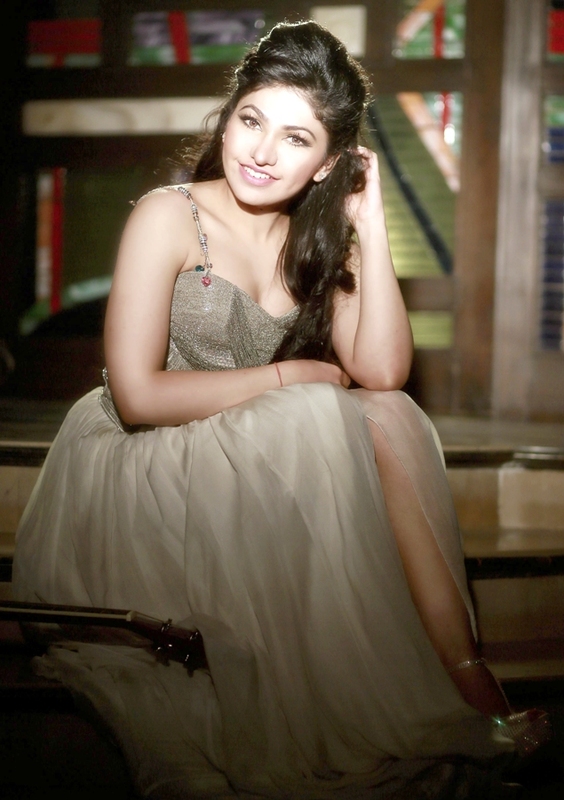 Next in pipeline for Tulsi Kumar is Aashqui 2 which holds a very special place in her heart. She feels a strong emotional connect with her new film Aashiqui 2 as 20 years back, Aashqui was steered by her late father Shri Gulshan Kumar. She further adds, “Right from that age, he started sending me to classes and today, after almost 20 years, I am a part of a project that was initially started by him. The film back then set a benchmark in the field of music and was a huge success. With my father’s blessings and the hard work of the entire team put together, I am sure Aashiqui 2 will recreate the same magic and become a huge success. Today I feel extremely happy and honoured to be associated with it as I have a strong emotional connect with the film. I have two songs in the film both on romantic lines HUM MAR JAENGE is a duet with Arijit which will remind you of the 90’s melodies, it’s a beautiful romantic track composed by Jeet Ganguly and the other song WOH PIYA AAYE NA is a duet with KK”. She has also rendered her voice for songs in Rohan Sippy’s Nautanki Saala, I Love NY and Balaji Motion Pictures’ Kuku Mathur Ki Jhand Ho Gayi to name a few. Prabhat Pheri on 25th Oct.